Park Hill Manor is specifically for elderly, handicapped or disabled persons and consists of 82 units; 63 one-bedroom, 2 two-bedroom and 17 efficiency apartments. 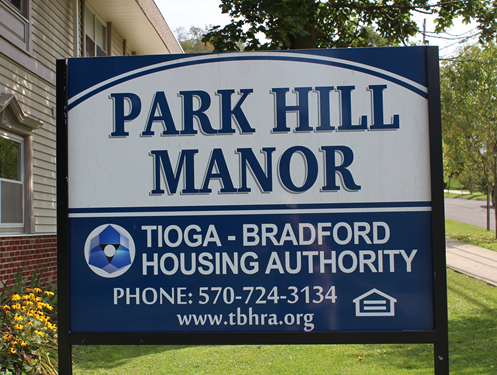 Located in Wellsboro, Tioga’s County Seat, Park Hill Manor has all the conveniences. Just walking distance from all downtown shops and restaurants, Wellsboro’s quaint downtown atmosphere is beautiful all year long.